Why RTC? | RTC Group, Inc.
RTC is a market leader in end-to-end store systems solutions with a focus on addressing each customer's unique needs and business objectives. Simply put, RTC drives customer satisfaction and ROI. Our approach is always to develop a strong partnership with the customer and gain a clear understanding of their business processes and unique aspects of their environment. Our tagline is "The MD of Retail IT" and it represents what we do best: providing cost effective, innovative products and solutions that keep retail IT systems healthy and functioning at the most efficient levels. We have tethered our brand to a doctor theme, which we believe perfectly aligns with our mission to "get and keep retail IT systems healthy" and "cost effective" while delivering proven ROI. RTC has won numerous industry awards including IBM's Customer Satisfaction Leader Store Systems Remarketer award and IBM's National Solution Provider award. Both awards reflect RTCs commitment to customer satisfaction and quality. 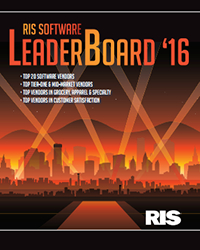 RTC has been recognized in the RIS Software LeaderBoard survey for the past 6 years. This comprehensive survey is considered the best guide for retailers to identify the top reteail techonolgy software companies. RTC's Leaderboard resutls continue to the outstading. The stellar results and high rankings across the board are a direct reflection on the dedication of the employees of RTC, our premiere services and our commitment to ensuring that all of our clients are completely satisfied.